For over two decades, IFBB pro and trainer Darren Toma has enjoyed several distinct achievements in his competitive bodybuilding career, including several heavyweight and super heavyweight titles. His passion for the industry has also given him success as owner of a Reflex Supplements store in Langley, BC, and his personal training service, Custom Built Training. Above all, Darren lives the fitness lifestyle and knows how important it is to be a good role model and a good coach to his clients, set a good example, and have a good eye. “I have dialed many male and female [competitors] to many overall wins over the years. I train athletes from beginner to the IFBB pro level, and most of all, I love what I do and I care for all my clients,” he says. 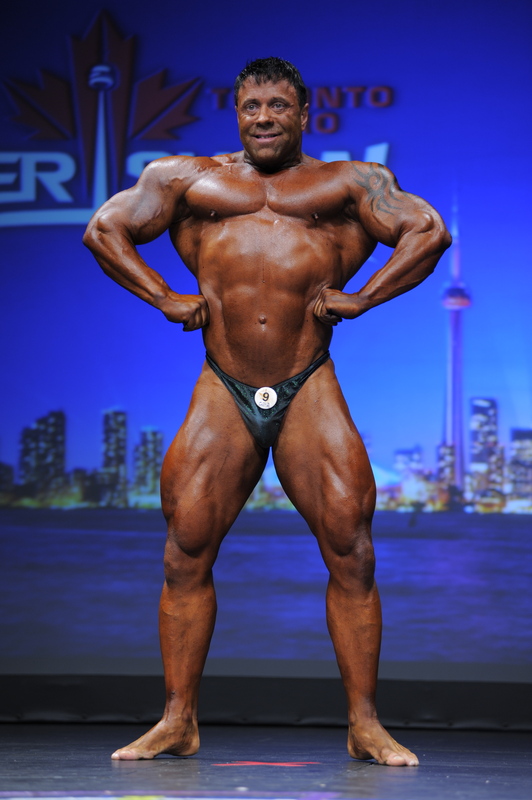 Proving that he can still make the top ten, Darren recently retired from the stage after placing tenth at the 2012 Toronto Pro Show. To read more on Darren, click HERE!